As the weather turns colder, it's time to pull the winter wardrobe out and examine what you might be missing plus what you don't wear anymore. For caregivers on a tight budget, shopping for new clothes can be challenging. The Saily app gives senior caregivers the ability to sell old clothes that are still in good condition and search for gently-used clothes to stock up for winter. A good rule of thumb when deciding whether or not to part with an article of clothing comes down to the last time you wore that piece of clothing. If it's been more than a year, it's safe to say you likely won't wear it again and can part with it. Go through your closet and pull out any items that meet these criteria and put them in a pile to sell, if they're still in good enough condition. Then, examine the clothes left and decide what you might be missing that you'll need for the next few months. Perhaps you're in need of a few sweaters for work, or you could use a new scarf to go with your winter coat. Make note of the items you're searching for and then open the Sally app. When caregivers first create an account in the app, it asks them to select the categories that fit their shopping interests. The options include Shoes & Sneakers, Laptops & Computers, Phones & Tablets, Handbags and Watches. 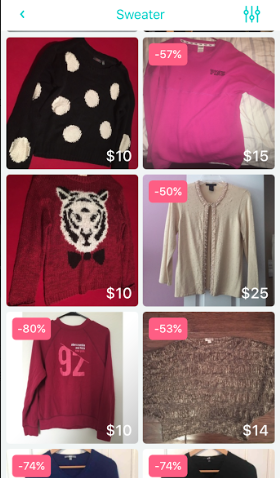 While most of these don't fall into Wardrobe items, the app certainly has listings for all sorts of different types of clothing as well. From the home screen of the app, caregivers can scroll through a feed of various available listings, or search by a specific term. The prices are all set by the users selling the items and show the discount from the original price. Some items are priced at more of a discount than others, so caregivers may need to weed through the listings based on their own budget. In a search for "Sweaters," we scrolled down a little and found six listings in a row for less than $20, so it's not that difficult to find. Alternatively, to sell an item, all caregivers need to do is take a photo using the camera on their phone, and then enter some basic information. The requested information includes Title, Description, Category, Retail Price and Selling Price. The difference between the Retail Price and the Selling Price determines what percentage saving is shown on the listing for prospective buyers. Remember to consider how much you'd be willing to pay for the item in its current condition before selecting the price. The Saily App is available for Apple platforms. Caregiverlist has released the daily rates of nursing homes in West Virginia. With 133 nursing homes, the average cost for a shared room is about $245 per day. West Virginia nursing homes hold an average Caregiverlist Star Rating of 2.5 out of 5 stars. West Virginia's nursing homes are now the 12th costliest in the nation, and more expensive than the nursing homes found in any of its neighboring states. The long days and warm temperatures of summer are beginning to fade. This week's stress relief photo was taken at sunset near the world famous pier in Santa Monica, California. Caregiverlist invites you to enjoy the photo and share it with loved ones. At Caregiverlist we know the realities of caregiver stress. Thank you caregivers and certified nursing aides for your hard work and caring for our seniors. Please refer your friends to apply for part-time and full-time job positions on Caregiverlist.com and visit our career center for additional career tools. Have a great week. Even in the misty weather, a still and beautiful lake is a great place to walk and clear your mind. This week's stress relief photo was taken at the Eibsee, a lake near the Zugspitze in Bavaria, Germany. We invite you to take a moment to relax and enjoy the photo and inspirational quote and share them with loved ones. Thank you caregivers and certified nursing aides for your hard work and the care you provide for our seniors. More caregivers are always needed as seniors in America are living longer. You can learn more about becoming a senior caregiver and apply for a job near you. We hope you have a great week. "Make your heart like a lake, with a calm, still surface, and great depths of kindness." In today's world of social media, sometimes the number of different sources for daily news can seem overwhelming. Which one shares interesting content on the topics you most care about? For caregivers who work long hours, digging through the depths of the internet to find out may be daunting. The News Republic app offers a one-stop place for caregivers to quickly see news and articles from several sources. When users first open the app, it asks them to establish a profile and select topics of interest. Topics range from US News and International to Technology & Science or Entertainment. This gives the app the ability to provide a variety of information while still staying relevant to your interests. The homepage of the app offers the Top Stories of the day in the upper left-hand corner, and then shows a different icon for each of the categories selected during set-up. When users click on an icon, it takes them to a dedicated feed that pulls in stories from several different sources. Caregivers can scroll down to browse various headlines and see at the top of each post what the source of the article is. When a headline strikes a caregiver's interest and they'd like to look closer, they can click on it and read the article within the app instead of needing to navigate to it in their phone's internet browser. After they've read it, the app even gives them the ability to comment, share or react. The options for React include Astonished, Pleased, Indifferent, Worried or Sorry. Users can also save articles within the app if they'd like to come back to them at a later time. Caregivers can also choose to get notifications when new stories from their selected topics are added to the app. Caregivers could also set the app up with the interests of their senior client in mind to find and share news with them. 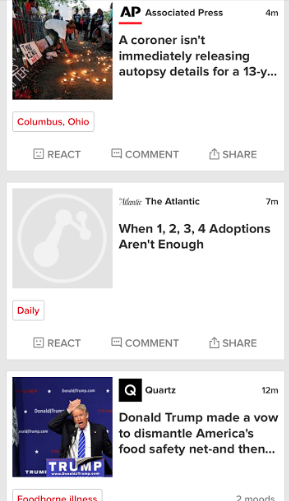 The Digest section of the app shows the 11 most important articles from across all of your selected topics. This gives caregivers with limited time the ability to quickly open the app and scan the headlines to stay up-to-date without needing to go through their entire timeline. The NewsRepublic app is available for Apple and Android platforms. As we come into the fall and winter months, the days get shorter and the weather gets worse. As this happens, it's easy to hole up indoors and focus on the stressors of daily life. For caregivers in particular who work in high-stress environments, taking the time to break the routine and relieve stress remain key. The Headspace app offers guided meditation to help caregivers take care of their mental health. The Headspace home screen displays different levels of meditation for caregivers to work through in the free version of the app. The levels also display how long that particular guided meditation will last for. Once a user selects the first session they would like to complete, the app opens an introduction animation explanation of how to best complete the meditation. As the intro to the meditation mentions, the most important aspect to having a successful meditation is finding a location where you will be undisturbed for the duration. Perhaps in the morning before you leave for work, immediately when you arrive home from work or right before bed would work well. Or, maybe your senior client would be interested in completing a guided meditation session with you. The actual session is an audio recording with a man explaining how to relax for the meditation. He explains how to sit and breathe in addition to what to focus on as you meditate. He moves slowly through the instructions, making them easy to follow and comply with. Caregivers with no meditation experience should find this a nice introduction. 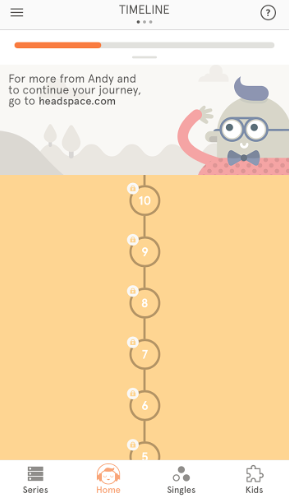 As caregivers complete more meditations, they can also visit the Series area of the app. Here users will see different categories of guided meditation, such as Sport, Health and Relationships. 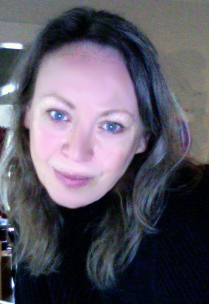 Each category has sub-categories of guided meditations for specific topics. For example, under Health there are meditations for Depression, Self-Esteem, Stress and Anxiety. The Singles library likewise contains individual meditations around more focused topics, such as Fear of Flying or Commuting. The meditations in this category last anywhere from 2 to 60 minutes, depending on the topic. Both the Series and the Singles meditations require a subscription to the app after having completed the first 10 free meditations. If caregivers find that the into meditations were helpful and a specific topic sticks out to them, they might want to consider subscribing to the service. The Headspace app is available for Apple and Android platforms. Daybreak is a magical time, and something we don't always get to enjoy. This week's stress relief photo was taken at dawn on North Avenue Beach in Chicago. Caregiverlist invites you to enjoy the photo and share it with loved ones. At Caregiverlist we know the realities of caregiver stress. Thank you caregivers and certified nursing aides for your hard work and caring for our seniors. Please refer your friends to apply for part-time and full-time job positions on Caregiverlist.com and visit our career center for additional career tools. We hope you are able to relax and enjoy this holiday weekend. Have a great week. "It is well to be up before daybreak, for such habits contribute to health, wealth, and wisdom."